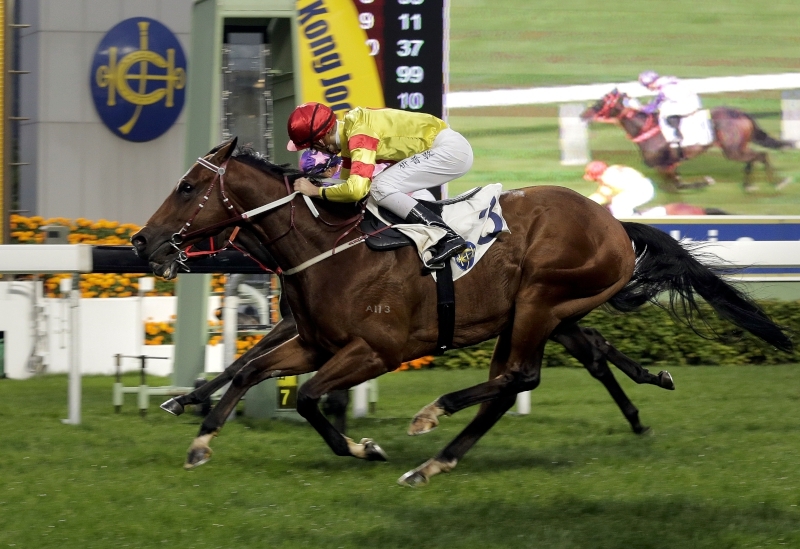 Rapper Dragon is 12 days out from an attempt to emulate last season’s star four-year-old Sun Jewellery and add the Hong Kong Classic Cup (19 February) to his emphatic victory in last month’s Hong Kong Classic Mile. Floral Pegasus in 2007 is the only other horse to have pulled off the double. 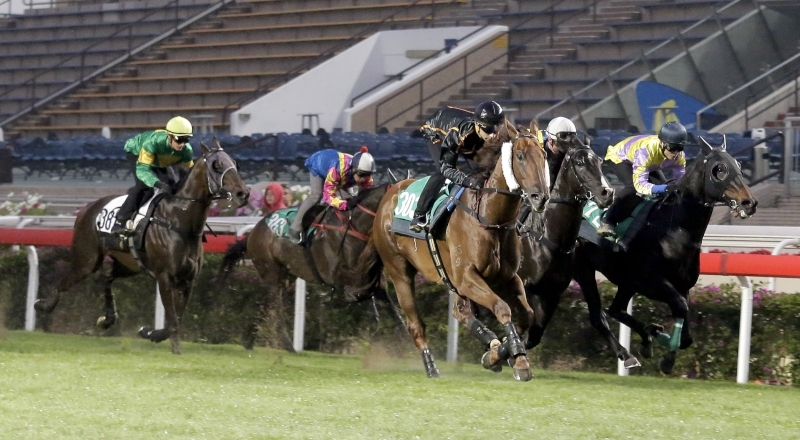 The talented chestnut stretched out in a 1000m barrier trial at Sha Tin this morning, Tuesday, 7 February, after which trainer John Moore expressed confidence that his rising star remains the one they all have to beat in that second leg of the Four-Year-Old Classic Series. Rapper Dragon (blue and red silks) passes the post fifth in a 1000m barrier trial at Sha Tin this morning. “I’m very pleased with Rapper Dragon’s trial this morning – everything’s going the same direction, work-wise, as it was leading into his last win. He’ll be cherry ripe by the time he gets to the Classic Cup a week on Sunday,” Moore said after watching the son of Street Boss roll through 1000m in company with nine others. 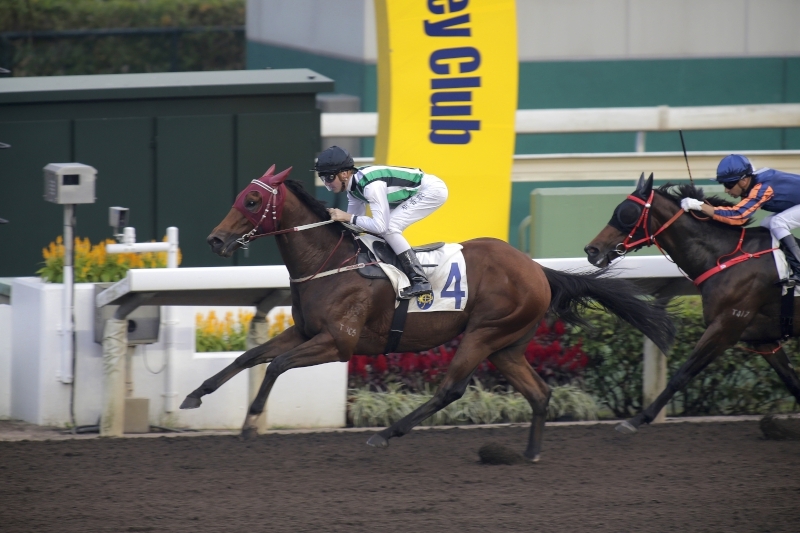 Rapper Dragon passed the post fifth behind Packing Llaregyb under Joao Moreira in a time of 59.35s. In the same batch, one of eight on the grass, another of Moore’s BMW Hong Kong Derby-bound four-year-olds, Eagle Way, also stretched out. The G1 Queensland Derby winner broke smartly under Sam Clipperton who kept the gelding under a tight hold to find cover. The chestnut cruised across the finish line seven lengths last, clocking 59.96s. 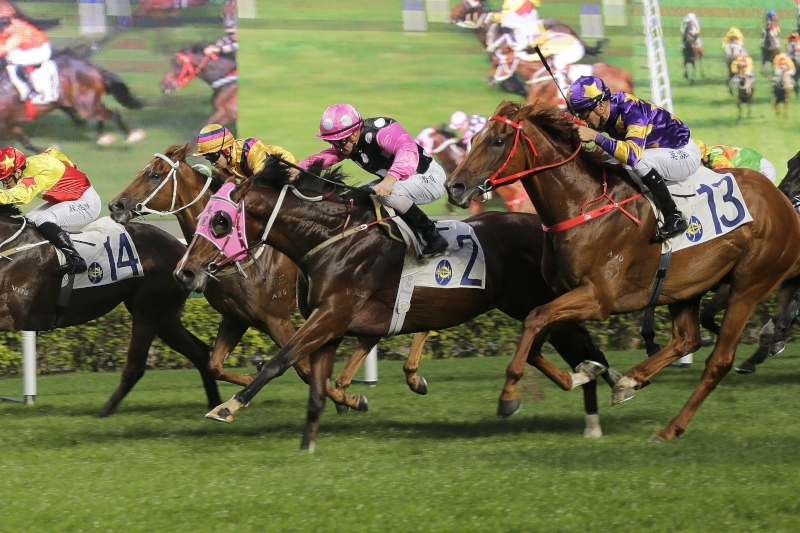 The Classic Mile sixth is expected to appreciate the step up to 1800m in the Classic Cup. Moore’s Rodrico is another with a Derby entry and the Queensland Derby runner-up strode out in batch two (1000m - turf) today under Clipperton. 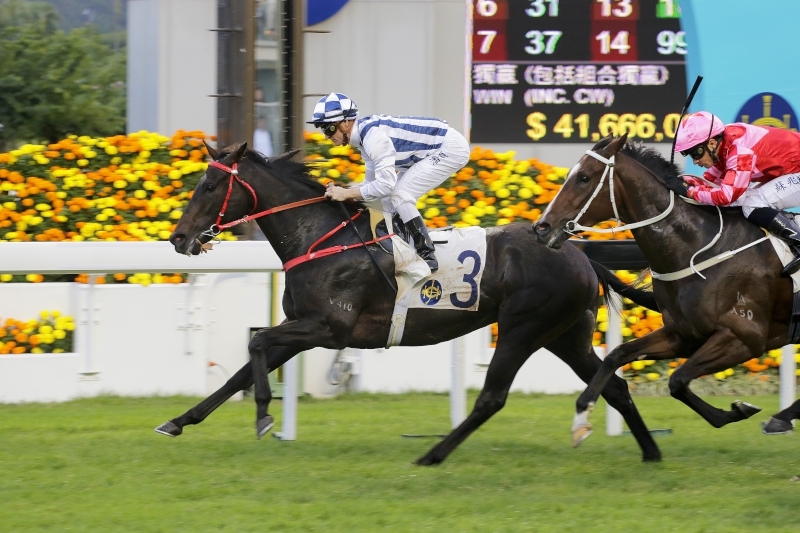 The High Chaparral gelding has disappointed in both of his Hong Kong starts so far, notably when last of 14 in the Classic Mile last time. The John Size-trained My Darling, another en route to the Classic Cup, did all that was necessary in passing the winning line two lengths second behind Rickfield in the session’s 1600m turf trial. Meanwhile, second stage Derby entrant Dee Dee D’Or was on the turf this morning for his first barrier trial. The G2 Italian Derby runner-up has only been in work with trainer Richard Gibson for three weeks since his New Year arrival at Sha Tin. The grey Zebedee gelding appeared to have a positive demeanour and was a willing partner for jockey Neil Callan despite a slow break and an obvious lack of fitness as he galloped home six and a half lengths last of eight in a time of 47.29s for the 800m. “Beauty Generation got galloped on again in the Classic Mile so he missed a day’s work. But he was back galloping within a few days and he was out on the training track this morning. I’m happy with the way he’s progressing,” Moore said, although the handler did express some disappointment that the gelding had not finished closer to his stablemate in the Classic Mile. 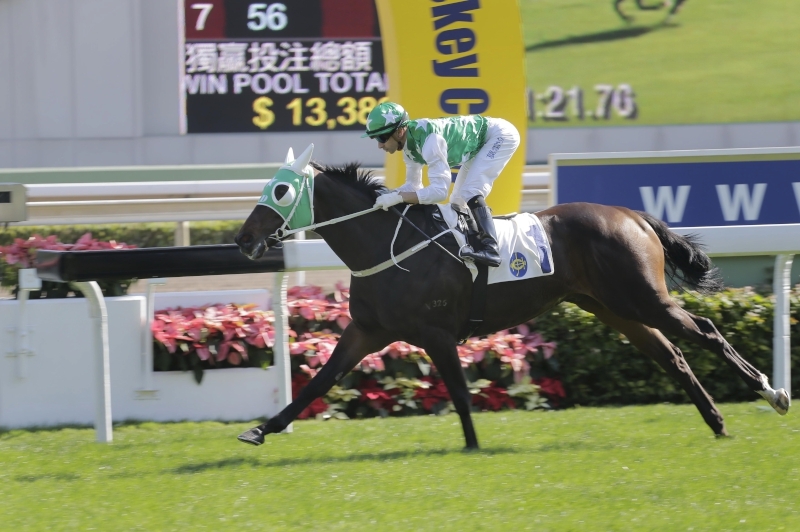 And “disappointing” was also Moore’s word of choice with regard to Four-Year-Old Classic Series contender Helene Charisma’s eclipse in last Sunday’s G3 Centenary Vase Handicap (1800m). The Classic Mile eye-catcher, winner of last year’ s G1 Grand Prix de Paris (2400m), was sent off the 2.3 favourite for that race under a low weight but failed to fire in seventh.